Firstly, exciting news! Dining with Dani is now on Twitter and Instagram. You can follow both by searching @diningwithdani !! Now, to more important things. I have found yet another blog I am obsessed with — Skinny Taste. I love all the recipes because they are healthy, low-cal, and she includes all the nutritional information. Since the vegetable challenge ends this Thursday, except lots of recipes full of them. This one was so delicious. I can’t wait to make it again. Next time though, I’ll use chicken sausage for less fat (that’s what Gina did) and I’ll chop the potatoes smaller since it’s hard to get them to cook properly in the skillet. 1. In a skillet, heat EVOO and potatoes. Reduce heat when skillet starts to sizzle. Cover and continue to cook for 30 minutes. Set potatoes aside, but leave the skillet on the heat. 2. 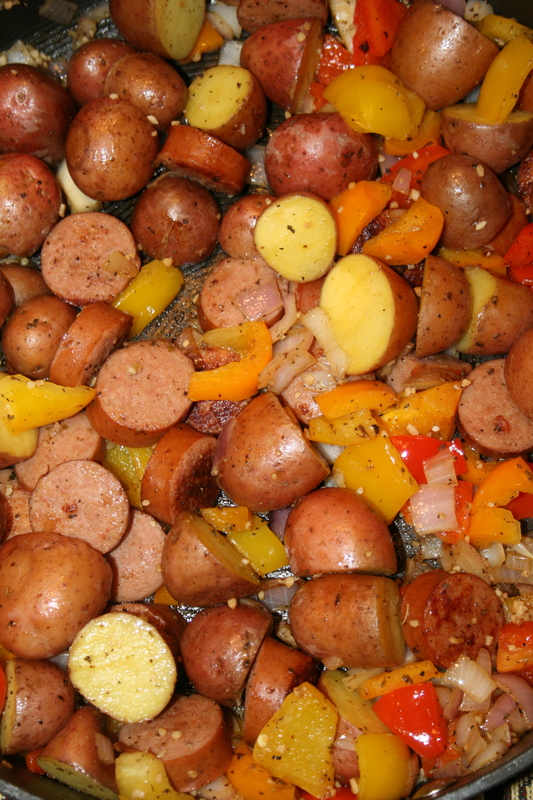 Add kielbasa to the skillet and cook until browned. 3. Add the rest of the ingredients to the skillet. Cook until vegetables brown. 4. Put potatoes back into the skillet and cook for 10 more minutes, or until the potatoes are soft. 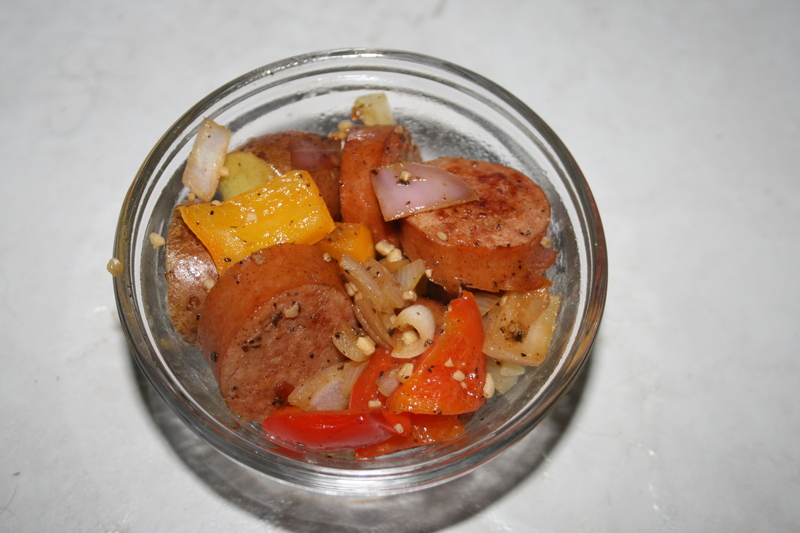 This entry was posted in Main Dishes and tagged kielbasa, peppers, skillet meal, vegetables. Bookmark the permalink.